Dave Bowman is the Founding Creative Partner of Special Group Australia. For the last year, Dave has been running his new Australian start up Special Group, with long-term creative partner, Matty Burton. Since opening, they have partnered with 16 iconic and exciting brands in a diverse manner of capacities. From NPD and transformational tech projects to brand strategy, communications and PR thinking. 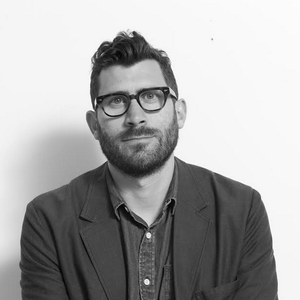 Previously, he worked at Droga5 New York, The Glue Society, Saatchi&Saatchi Australia, where he created the most awarded campaign in Toyota’s history, and TBWA where he oversaw the region’s creative output and helped his local shop become the 9th most awarded creative agency in the world. He is a member of the International Academy of Arts and Sciences and has won many awards. As for D&AD, he has a number of Yellow Pencils and has created work that has featured in the annual over 15 times.